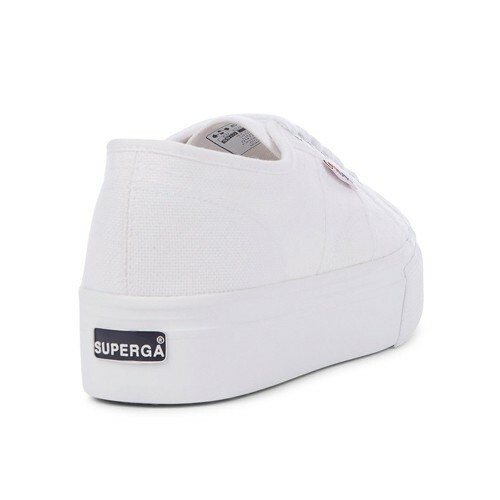 The Classic Superga 2790 takes the next step! 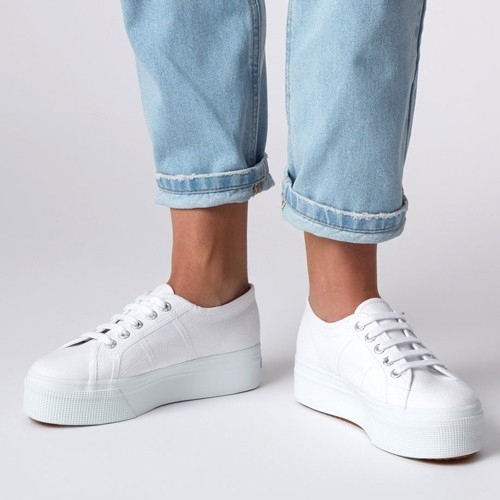 The 2790 flatform is a cross between the classic tennis shoe shape, and a platform shoe, featuring a chunky vulcanised rubber sole for extra height. 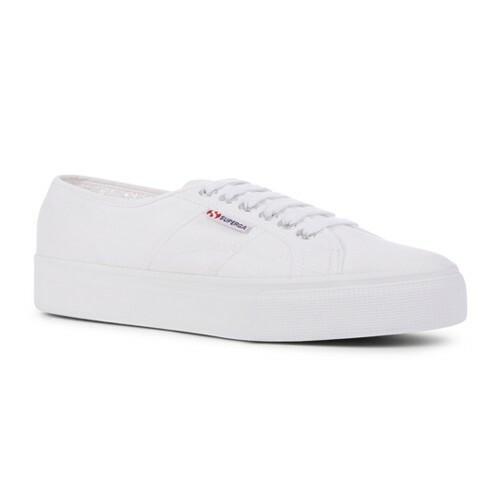 In a classic white shade perfect for Spring Summer 19. 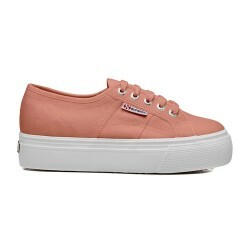 We recommend going by your EU size when ordering.